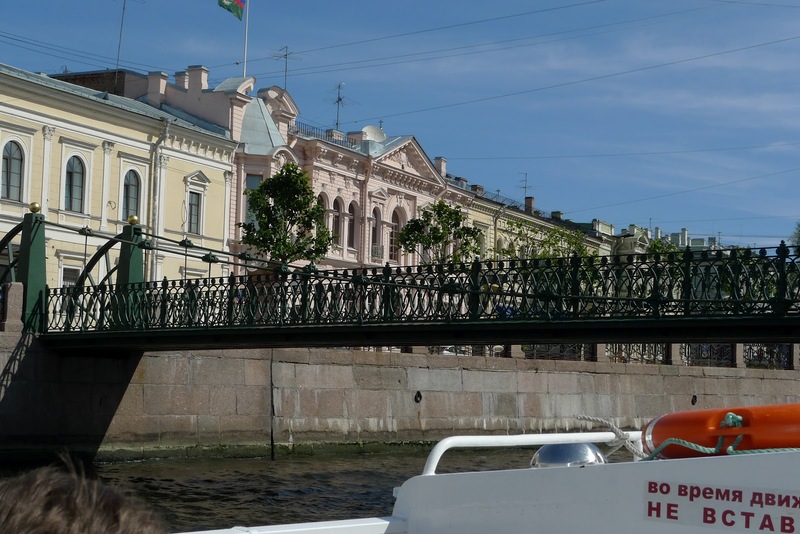 We took advantage of the beautiful weather to do our second Piter boat tour in 3 years. Yes, we've been remiss! This time we wanted to check out what our favorite tour company had to say. 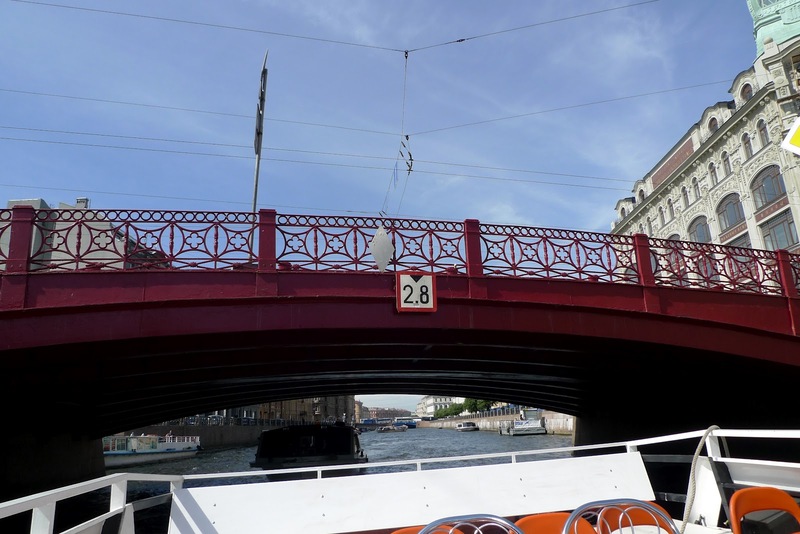 Peter's Walks only started their tours within the last month, so the almost empty boat wasn't a huge surprise although it was a huge shame. Good for us, though, as it allowed the kids to roam a bit and use up some energy while both Terry and I got to listen to the tour guide. Our tour guide was young and enthusiastic and did a good job personalizing the tour, answering questions and making conversation. His English was impeccable. 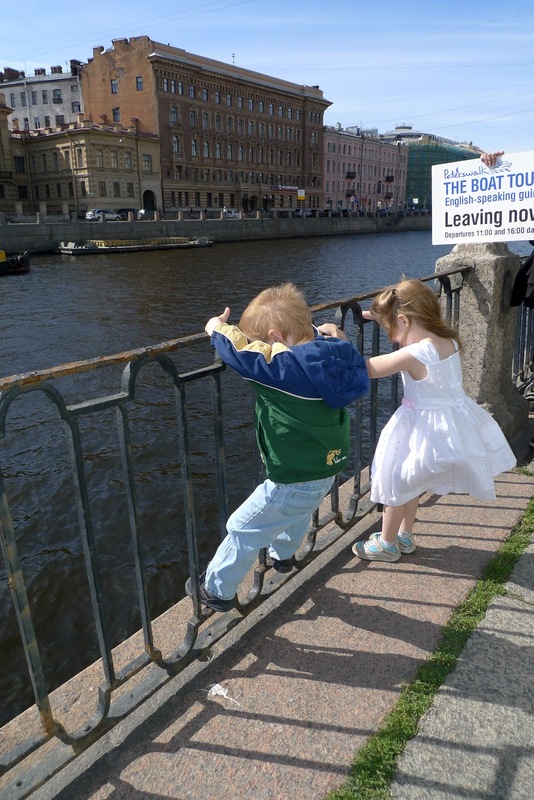 There was some issue with the boat, so we had to wait about 15 minutes. 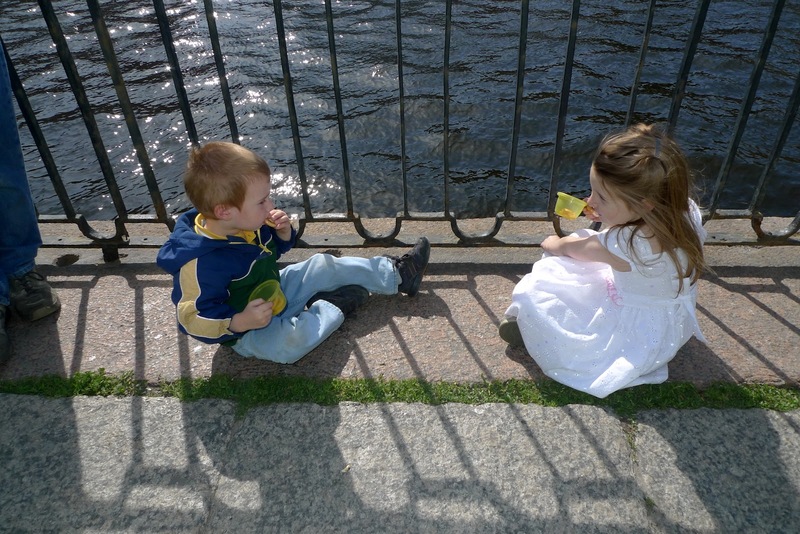 The kids took the opportunity to have a snack. 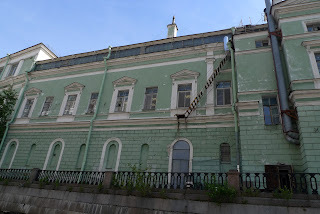 When we took our original tour in 2009, we saw the Neva, Moika and Fontanka rivers. 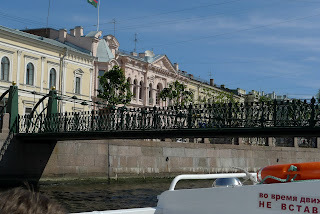 This time, we accidentally got on the water on Red Sails day, and were unable to get onto the Neva at all. 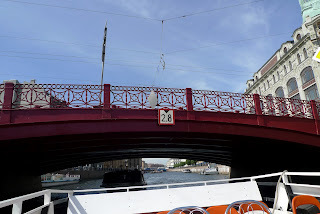 No matter as it meant we were able to meander through canals, under bridges, and around sights and monuments using a totally different perspective. For example, here's the backside of the Mariinsky Theatre - not kept up quite as well as the front, eh? 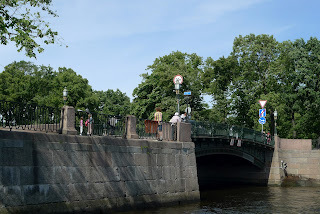 I happen to be a big fan of all the Petersburg bridges and got a chance to snap many that I'd never seen before. Another exciting aspect of today was how lightly we traveled. A & Z each had a backpack, I had my purse and T slung the Uppababy over his shoulder when someone wasn't in it. We even took the metro with the kids; I don't remember ever doing that with both of them before. Of course by the time we got home at exactly naptime, everyone was exhausted, dirty and grumpy. It was a great day!